If you spot a UFO what's the first thing you do? You try and film it, obviously. What's the second thing you do? Well you try and get someone to come and watch it with you so you're not going completely mad. It would seem the people who shot this video in North Carolina do things a little differently. 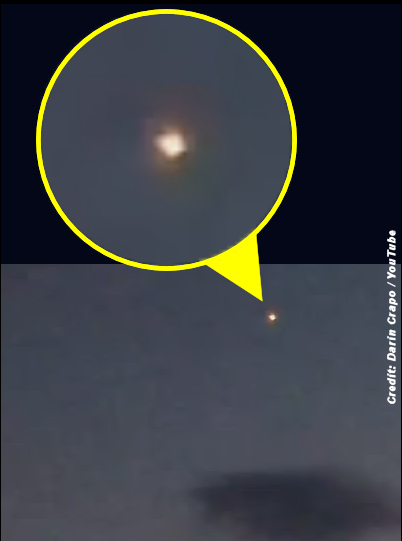 The video shows what appear to be two glowing 'orbs' floating in the sky while those filming attempt to fire high-powered laser pointers at them. Now it goes without saying that this is a monumentally bad idea anyway, not least because even if it's not a UFO then it's probably an aircraft and firing a laser pointer at an aircraft is understandably a criminal offence. . . .